There is hope for those already abandoned New Year’s resolutions, writes Alice Gilbert. It’s a week into 2014 and already you’re staring longingly at that box of chocolates left over from Christmas, regretting your New Year’s vow to limit your calorie intake. You started off so strong, eating nothing but celery and 99 per cent fat free yoghurt, but now you’re beginning to falter. How can you keep this up for the whole year? Keeping New Year’s resolutions can be a struggle, but there are some tips that can help keep you on track. It seems obvious, but many people fall off the wagon because they have set themselves up for failure. Setting overly ambitious goals, regardless of how confident you are that you will see them through, can only end in disappointment. Know your limits, and adjust your resolutions to suit what you think you can realistically achieve in the given time frame. Having said that, don’t make your resolutions a cop-out either. What’s the point in making a resolution that you can achieve without even trying? By challenging yourself you keep yourself occupied and give yourself direction. It’s all about moving forward! You’ve vowed to exercise more, but exactly how much exercise is “more” exercise? Is it classified as “more” exercise if you walk to the Hunter or Shortland side of campus once a week for that compulsory tute you wish you didn’t have? It is also harder to measure the extent of your achievement. This leaves you with a vague sense of dissatisfaction and frustration, no matter how hard you work to stick to your goal. Try making resolutions with a definite end goal, like losing a specific amount of weight. When you reach this end goal, you can feel that triumphant sense of satisfaction as you tick it off your list. 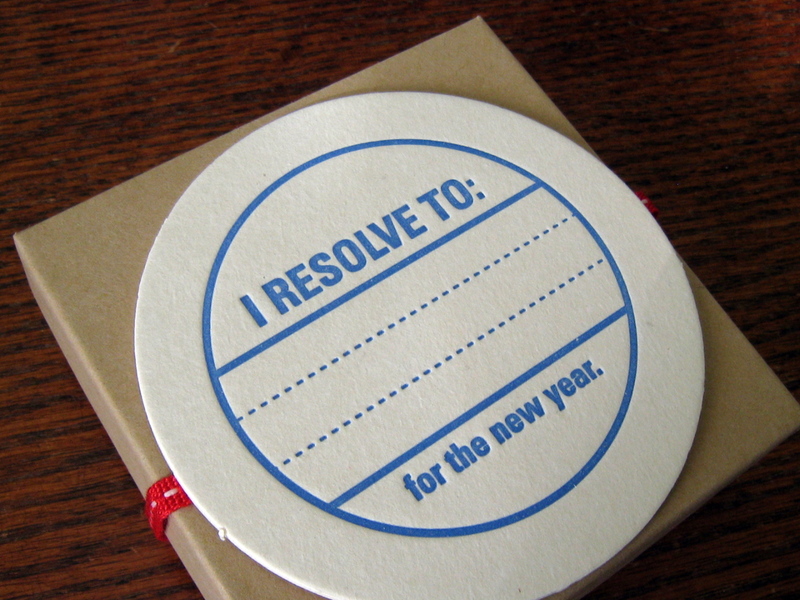 Write your New Year’s resolutions down or print them out and put it somewhere you can see it. By making a solid list of your goals, you are taking the first step towards achieving them. Once they are written down you will be more psychologically committed to seeing them through. Putting off completion of your resolution will only build it up for you as a psychological hurdle. The longer you leave it, the more unattainable it will seem, and therefore the more stress you will feel to complete it as the time ticks away. Some goals are harder to achieve than others. Things like quitting smoking will take a great deal of determination and willpower. But the more time you allow to pass, the harder it will get, so jump in and go for it! You’re beginning to lose momentum. You intended to go to the gym three times a week, but you haven’t been in the last two weeks. Might as well just give up right? Wrong. Stop being so defeatist! That attitude will get you nowhere. Before you can think about adhering to your New Year’s resolutions you need to accept the fact that you will probably break them, over and over again, before the year is through. BUT THAT IS OKAY. None of us are perfect and we all give into temptation once in a while. The deciding factor is whether you choose to continue pursuing your goal despite setbacks like this. When you see a goal through, even a small one, it’s important to remind yourself that you are doing a good job. Sometimes just completing a goal is reward enough in itself, but it doesn’t hurt to have that extra incentive to keep you on track.